I can't explain that. My 2006 release, A Family Forever, was digitized earlier this year, also without promotion, but that one hasn't taken off (again, I'm talking about the Kindle Store). In my opinion, A Family Forever is the better book. But like so much else in publishing, what sells and what doesn't and why is a mystery to me. Perhaps you've noticed that all of these highlighted titles will take you to the books' Amazon Kindle pages. Yes, I'm an Amazon affiliate, but I make only pennies on these referrals, so that's not my motivation. It's just that I'm a longtime Amazon customer and fan, and this keeps things simple for me. Of course the novels are available at Barnes and Noble and at all kinds of other e-book stores. Less than two months from now, I plan to release a brand-new novel as an e-book. It'll be similar in tone to my Love Inspired books, but quite a bit longer. 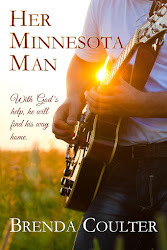 And it'll feature a rock-star hero, which is the reason Love Inspired declined to publish it. (Don't fault my editor: market research has shown that many of the older Love Inspired readers just aren't sympathetic to famous heroes such as actors, pro-sports players... and rock stars.) But you'll be hearing more about that book here on the blog very soon, trust me. I loved your first book!!!! Yeah, I'm still kicking. And it was sweet of you to post. Thank you! Finding Hope is my favorite book that you have written. There was something so poignant about it and just touched me deeply. Aw. What a nice thing to post here. Warmest thanks. I came across your book, Finding Hope Kindle edition yesterday, and finished it in one night! It is one of the best books I have read in a very long time. I am very excited to find that you have written other books,and can't wait to dig in. I loved your dialogue, and found myself giggling at 3am, (to my husband's annoyance) not being able to put the book down. I was glad to find your blog. You are very inspiring! Sorry, 1sttimemomm, but I didn't see your comment until just now. I hope you see this reply! Thanks so much for your kind words about my writing. It was sweet of you to take the time to comment here.